New Jersey residents are generally unaware of the potential for the assessment of New Jersey estate taxes on their estates. Although the current Federal exemption of $5,250,000.00 is more than adequate to shield most estates from Federal estate taxes, New Jersey has a relatively low estate tax exemption of $675,000.00. At first blush, the New Jersey exemption of $675,000.00 also appears to be an adequate shield for most middle and upper middle income families until one undertakes a close examination of the assets which comprise a decedent’s gross estate. A common misconception is that only traditional probate assets (e.g., assets passing under a Last Will & Testament) are included in one’s gross estate. However, non-probate assets passing through beneficiary designations on contractual instruments such as investment accounts, IRAs, and Certificates of Deposits, which are termed “non-probate assets”, are also included in a decedent’s gross estate. Moreover, all insurance proceeds or death benefits passing under life insurance policies owned by the decedent are also includable in the decedent’s gross estate even though they too pass through beneficiary designations rather than by a Will. Although estate assets are also shielded by an unlimited spousal exemption, far too few people in New Jersey consider the impact of New Jersey estate taxes when both spouses ultimately die and leave their combined estates to the couple’s children. For example, if the husband dies his estate will pass to the wife tax free under the marital exemption. When the wife ultimately dies, however, her estate which is comprised of both her and her husband’s assets will then pass to the couple’s children. If the combined estates of both spouses exceed $675,000.00, New Jersey will assess an estate tax on transfers to the couple’s heirs. The failure to consider the tax consequences on the “second spouse to die”, coupled with the misconception regarding the inclusion of non-probate assets in the gross estate often lead to the payment of estate taxes which could have been avoided through effective estate planning. At Sedita, Campisano & Campisano, we provide effective estate planning to suit your family’s needs. We are experienced in drafting and funding marital trusts which can minimize the amount of Federal and New Jersey estate tax liability. We will review your financial situation and carefully formulate an estate plan that best suits your particular needs. By necessity, Medicaid, which was intended to provide assistance to impoverished citizens, has become the default long-term care insurance for the middle class. Consider this: The average cost of institutionalized nursing care in New Jersey is between $7,500.00 and $12,000.00 per month. Contrary to popular belief, Medicare does not provide custodial long-term care coverage. Instead, Medicare merely provides up to 100 days of care in a skilled nursing facility per each illness. The vast majority of nursing home care, however, is “custodial” not requiring skilled nursing care. Medicare therefore covers only a very small percentage of long-term care. Unfortunately, people of moderate means are unable to afford long-term care insurance policy which can, at least in part, cover nursing home costs. Most people therefore end up paying for long-term care out their life savings. It is therefore essential that middle class families with aging parents start planning for Medicaid eligibility should the need for long-term care arise. This need is particularly acute for individuals with a family history of Alzheimer’s and dementia, since 70% of nursing home patients suffer from these illnesses. 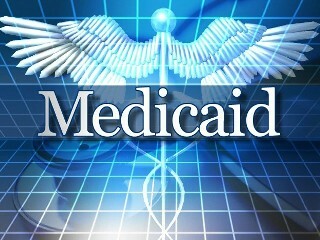 Medicaid is a public assistance program jointly funded and administered by the Federal government and the individual states. Presently, a Medicaid eligible applicant must have below $2,000.00 in countable assets and below $2,130.00 in monthly income. Medicaid, however, affords married couples with the ability to retain additional assets for the community spouse. The present “community spouse resource allowance” is $115,900.00. The basic strategy for Medicaid eligibility planning is to spend down the patient’s financial resources within Medicaid’s asset and income limits. The Deficit Reduction Act of 2005, however, materially impacted Medicaid eligibility strategy by imposing a five (5) year look back period on all transfers where less than fair value is received. Medicaid will view “less than fair value transfers” as gifts, which must be returned to the patient before it will deem them eligible for long-term care benefits. Accordingly, the need for seniors to engage in long-term planning is essential to ensure eligibility for long-term care benefits without any unfortunate delays in receiving benefits. 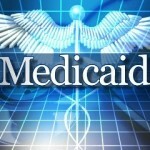 Medicaid eligibility requirements are complicated and can present a mine field of costly errors for the inexperienced. A misstep can lead to financially devastating penalties that can delay Medicaid eligibility for benefits for many months while nursing home expenses continue to mount at an average cost of $10,000.00 per month. There are also many instances when an applicant has either overlooked a particular transfer or has made a gift to a charity or family member without considering its impact on eligibility. 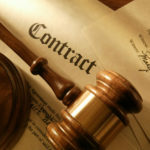 It is therefore wise to proceed through the maze of eligibility requirements with experienced legal counsel. At Sedita, Campisano & Campisano, we can guide you through the complexities of the State Medicaid eligibility requirements. We can assist you and your loved ones in formulating effective strategies to pay for long-term care should the need arise. It is never too late to engage in emergency Medicaid planning or too early to engage in long term care planning.